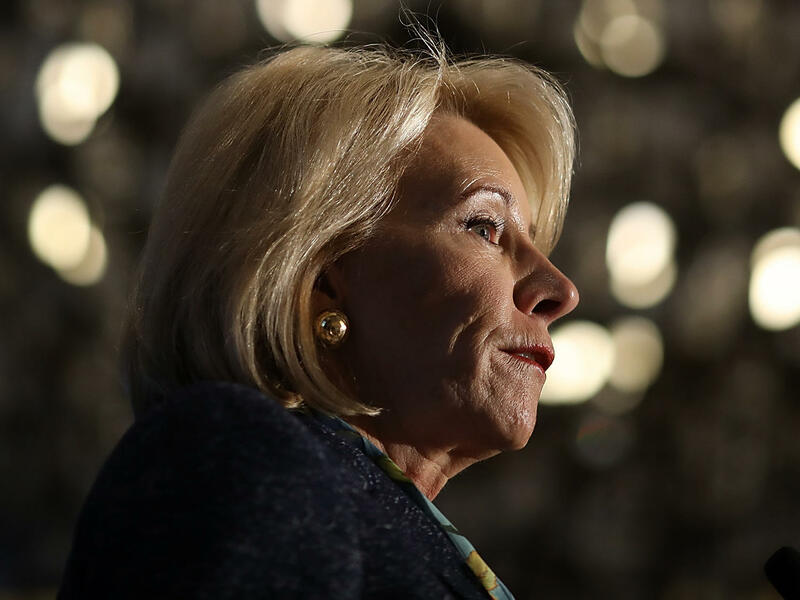 The public has just under 60 days to tell the Department of Education what it thinks about new guidelines recently proposed by Secretary Betsy DeVos. The new changes specifically address how college campuses should handle cases of sexual assault and harassment, replacing Obama-era policies on how to implement Title IX, which bars gender discrimination in schools receiving federal funds. Critics of the new guidelines say the changes will make it harder to convict offenders because the proposed changes raise the level of proof needed. The public comment period began this week on Thursday, and lawmakers are already suggesting that Secretary DeVos "rescind" the changes and start from scratch. At a press conference this week, Sen. Patty Murray, D-Wash., said the rules would bring the country back "to a time when sexual assault survivors were ignored and felt they had nowhere to turn." More parents are taking out loans once their kids start college— separate from the loans that students take out on their own behalf. That's according to a new report from the Brookings Institute. They found that the amount that parents are borrowing has tripled over the last 25 years, while default rates are going up and repayment rates slowing down. The loan in question is the Parent PLUS loan, which originally had limits on how much a parent could borrow when it was first launched in 1980, according to the report. Now, according to the federal student aid website, the cap is the cost of attendance after taking into consideration any other financial assistance received by the student. (The cost is determined by the school) The average parent loan balance has risen to $25,600, not too far off from the average undergrad student loan balance of $28,650 for the class of 2017. In the federal class action suit, students and parents will argue that Rhode Island's schools fail to teach subjects like civics and basic literacy. The 14 plaintiffs in Cook v. Raimondo say this gap leaves low-income and immigrant students in particular at a disadvantage— unable to take part in democracy. Similar school funding lawsuits around the country have tried to establish the right to an adequate education. In fact, a second federal class-action suit is currently on appeal, brought by students in Detroit who say their schools failed to teach them to read. But the focus on civic participation in the Rhode Island case is new. The plaintiffs' lawyer told the New York Times that he hopes it will win bipartisan sympathy. Since we're on the subject of lawsuits, Christine Gold, a former Seattle resident, is suing the Education Department for not forgiving loans she took out while attending the now-defunct for-profit Court Reporting Institute. The school was closed in 2006 after state investigators found that the school "cheated students out of thousands of dollars in tuition." Under current guidelines, if you attend a school that misled you or engages in misconduct, you can use an Obama-era rule called "borrower defense" to get relief from your outstanding student loans. So how did the school deceive Gold? According to the Seattle Times, the school promised she would find a job making $65,000 a year after completing a three-year program. What the school didn't tell her was that they were under investigation because the state regulatory board questioned whether or not students could actually complete the program. The National Student Legal Defense Network, which is representing Gold, is also suing the Education Department separately for allegedly dragging its heels on giving students their loan money back when schools are shut down. NPR's Elissa Nadworny writes that, "it was a curiosity that came to define Harold Levy," who was best known as the former head of New York City's public schools, the nation's largest public school system, from 2000 to 2002. Levy died on Tuesday from Lou Gehrig's disease. In his two years in office, Levy created the largest summer school program in the country, established the New York City Teaching Fellows and opened up specialized high schools, which gave more options to minority students in the city.